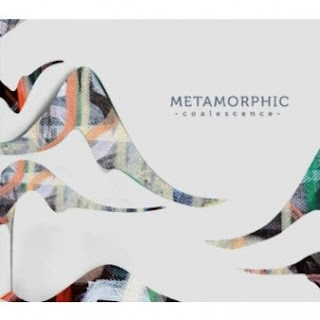 ‘Song-based emotional journeys’ is the phrase used to describe pianist/ composer/ arranger Laura Cole’s pieces on this, Metamorphic’s second album on F-IRE. Her originals draw on the experience of recovering from RSI and the depression it causes, and derive their haunting, arresting qualities from Cole’s openness to the inspirational nature of dreams (the opener, ‘Puma’, recounts a classic ‘fear/flight’ dream), transformative emotional revelations, and – musically – the telling juxtaposition of contrasting textures. This last feature of Metamorphic’s music is skilfully realised by a cracklingly energetic band – saxophonists John Martin and Chris Williams, bassist Paul Sandy, drummer Tom Greenhalgh – and Cole’s imaginative lyrics are sensitively and affectingly interpreted by singer Kerry Andrew. Cole’s choice of contemporary music (Radiohead’s ‘Reckoner’ is featured in a string arrangement) and jazz classics (Ornette Coleman’s Lonely Woman and Kenny Wheeler’s Gentle Piece both receive intriguing Cole treatments, the former intelligently mixed with Jimi Hendrix’s ‘Little Wing’ to form ‘Little Woman, Lonely Wing is deft and sure, and overall, this is a consistently absorbing, multi-hued, thoughtful album which, as its title implies, brings together a number of apparently disparate elements and, courtesy of Cole’s adept arrangements for both small and larger ensembles (a big band is featured on the closer, ‘Light Up Yourself’), renders them robustly coherent.